A group of business owners and advocates is pushing for Alaska to place more of an economic stake in its outdoor recreation economy. Alaska boasts a massive number of tracts of undeveloped public land. Most Alaskans take advantage of all that land for various activities all year, and the summer brings tourists from all over the world, especially to fish. The founders of Confluence, an outdoor recreation advocacy group begun under the umbrella of the Valdez Adventure Alliance, think the state could advertise the outdoor economy better and enable more businesses to cater to it. A new study from the University of Alaska Anchorage’s Center for Economic Development establishes a numerical sketch for the industry’s impact as well. The study estimates that participants in outdoor recreation spend about $3.2 billion annually, excluding equipment purchases, and that the industry provides about 29,000 direct jobs and about 10,000 indirect and induced jobs. The report estimates that equipment purchases could be a similar sum. During a House Resources Committee meeting on March 6, committee members heard testimony in support of legislation enhancing the outdoor recreation industry in the state. Lee Hart, one of the co-founders of Confluence, told the committee that Alaskans have long shown support for spending state resources on outdoor recreation, including taxing themselves for trail maintenance. “Since at least the year 2000, residents of this state have been clamoring for more access to the public lands and waterways that surround their communities,” she said. Nolan Klouda, the director of UAA Center for Economic Development, presented the study to the committee and noted that outdoor recreation is also an attraction for workers. An economic strategy for a geographically isolated state like Alaska may not necessarily be to attract firms, but to attract talented workers to live here because of the quality of life and thus lure the businesses to where the workers are, according to the study. Klouda said businesses often identify hiring talent as a major obstacle to operating. Exploring ways to attract and retain residents is one of four recommendations included in the report. The others include gathering better data about outdoor recreation consumers, adding an economic impact component to state recreation development and supporting entrepreneurship. The report points to efforts such as the Anchorage-based Launch Alaska and the Seward-based Alaska Ocean Cluster as examples of incubators for businesses in particular sectors. The study also references programs like the state of Vermont’s grant program for remote workers, which grants prospective residents up to $10,000 for living in the state while performing remote work, and to an effort in Valdez to start a telework center meant to attract tech workers from crowded, expensive areas like Seattle and Silicon Valley based on the local outdoor recreation opportunities available. In a handout presented to the committee, Confluence identified four priorities: raising awareness of emerging sectors, creating a blue ribbon commission to identify ways to reduce regulatory burden for outdoor industries, leveraging federal matches to fund outdoor recreation access, and management and preserving the Snowmobile Trails Grant Program. A number of stakeholders also wrote letters to the committee in support of the SnowTRAC program, in which snowmachiners pay an increased license and registration fee in exchange for maintained trails. Gov. Michael J. Dunleavy’s fiscal year 2020 budget proposes reorganization for the state recreational trails program, under which the snowmobile trail grant program is administered, by eliminating a position, according to the Office of Management and Budget. 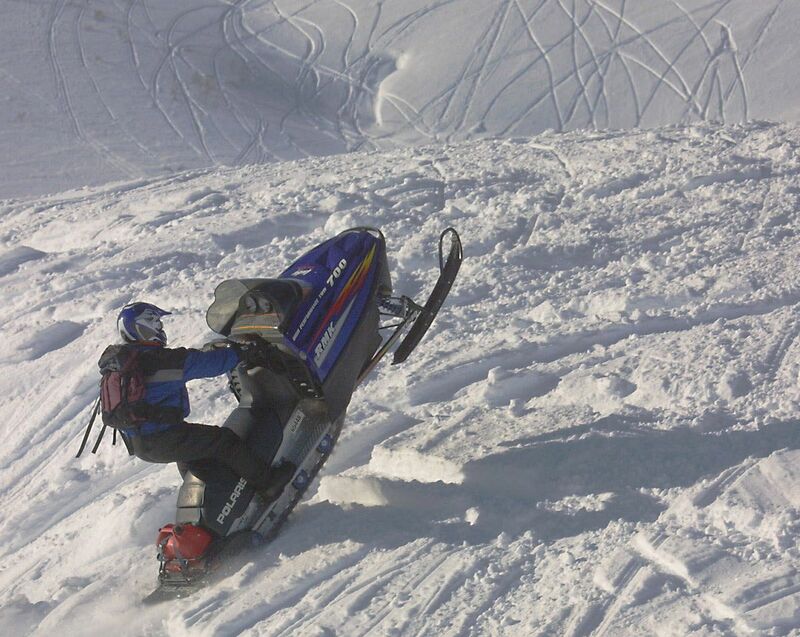 Michele Stevens, who represented the Petersville Community Nonprofit Corporation, said the snowmobile trails provide more than just recreational opportunity — they are important for search and rescue operations, as people are less likely to get lost. Matanuska-Susitna Borough Assembly member Dan Mayfield wrote a letter to Dunleavy that he was surprised that funding for the snowmobile trail program, known as SnowTRAC, was not included in the budget.